Wine Navigator® Online - Discover new wines and match food and wine - FREE! Welcome to your own personal sommelier! Wine Navigator is a tool of discovery, helping you find new wine styles you'll love. Simply enter a wine style you like (e.g. Sauvignon) and look for the suggestions. We've exhaustively flavour profiled the world's wine styles so you'll not be disappointed. Also use Wine Navigator to match your food to wine and wine to food with a click. 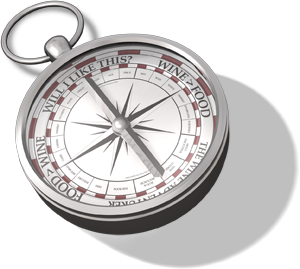 Wine Navigator is totally independent, let it guide you to your new wine from where you want to buy it. Want to know a bit more about your wine? There's 'at a glance' info, plus much more for the knowledge thirsty. It's free, fast, fun and totally independent. Give it a go and let your journey begin!